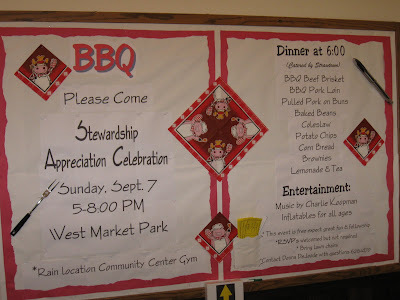 This bulletin board I created for a Church BBQ held in 2008. A large invitation was designed with all the important information. 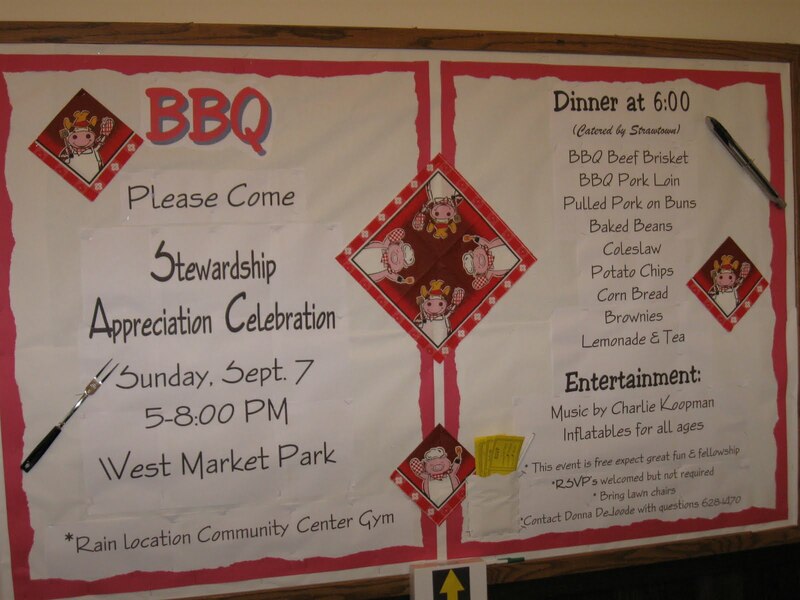 This bulletin board happened to be in a high traffic area so all Parishioners were well informed of their invitation. Colorful napkins and grilling tools were added to bring color and interest to the board.